I just finished reading ‘The Power of your Subconscious Mind‘ by Joseph Murphy and it was one hell of a book and an eye opener. Shortly after, I picked up another book with a similar theme: ‘Think and Grow Rich‘ by Napoleon Hill, which I am in the process of reading as we speak. Two great books, both dealing with one very important subject and theme: the hugely important and vital role that our minds play-or should play-in organizing our finances and helping us have more money. More specifically, the subconscious part of our brains. The premise is similar for both: the more positive you are in your thinking and actions, the better your life will be. More specifically, when it comes to money, you have to have the right ideas and thoughts. Basically, you are what you think. If you are always thinking poverty and not being able to afford things, that is what you will get: more poverty. But if you think ‘abundance’ and ‘wealth’ etc., that is what you will get. Positive Affirmations (or Auto-suggestion) : this refers primarily to the act of using phrases and sentences that are positive in nature and enforce a certain belief.. It is the practice of repeating positive statements and thoughts to yourself, as if they are already happening. For an affirmation to be effective, it is preferred to be in present tense, positive, personal and specific to you. Positive affirmations help to clear and clean your subconscious of the negative, ensuring your brain has a clear path to success. Here are some examples of positive affirmations you can repeat to yourself daily. Meditation: the practice of meditation helps calm your brain and this makes it easier for you to connect with your subconscious mind. Once you are in touch with it, you will be able to directly influence it and hopefully change the things you want to change about it. Visualization also works much better when you are in a meditative state than if you were to do it somewhere with a lot of noise and distraction. This psychological approach to our finances and money in general has been gaining a lot of traction lately. Some swear by it. Even rich people claim to have used some of these principles to get to where they are now. Jim Carey, for example, famously wrote a check to himself for some $10 million dollars, years before he had made any serious money. He dated for some year in the future, for rendered services. The idea was to trick your brain into thinking you are a millionaire and have this money. Well, we all know who Jim Carey is today and how much wealth he possesses from all the movies he has played. Does it work? the short answer, yes. But it is not magic-though some refer to it as being just that-and you still need to put in the hard work. Like everything in life, you have to put the hard work and positive thinking and connecting with your subconscious mind will only make it easier for you to get there. 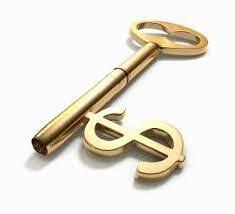 The Keys to Financial Success, what are they? What are the keys to your financial success? measures to be taken to achieve it? Instead of dreaming and visualizing the winning of a jack pot isn’t it more useful to find out the keys to financial well-being and make it a way of your life? Below you will find the main points to keep to in order to achieve the financial goal you set. Start from now and set up a fund for emergency cases which will allow you to finance about half a year of living. Life is changeable and this is crucial in case you lose a job, get injured or fall ill. Such financial cushion will support you through rough times and will allow you to get back on your feet. It will also prevent you from getting into debt if the disaster comes out of the blue. Having no such fund may lead you into a deep financial trap, which may result in paying loans back with other northandloans.ca taken on and spending money on high interest rates. Ask a simple question to yourself: will your family be able to live their usual life if you die tomorrow? In case of negative answer the chance is high that you should think of life insurance policy to replace your income in the worst case. A lot of aspects should be considered before you make up your mind as to the right insurance option. They are – your current loan obligations, financial responsibilities, coming expenses of the dependents and their ability to compensate the income they lose with your pass away. The main thing you can do to guarantee your financial stability is simple yet effective – live within your means. Don’t overspend and keep to your budget. Though it’s simple, nowadays people have too many temptations to get a new gadget now and to pay then, to put your winter trip on a credit card, to take a quick cash loan for some new clothing. Keep in mind that your credit cards or loans interest rates are often rather high and keep you tied down with payments. Make a careful consideration of your expenses and make a plan of spending less than your income is. It’s quite possible that it will require a change of your usual lifestyle, but your savings will bring you a pleasant surprise when you see it quickly rising. Do you have a retirement plan yet? Find out if there is one at the place of your employment and set up regular contributions, even though you may think you are too young to bother yourself with the thoughts about retirement. The earlier you begin, the more saving you will accumulate when the time comes to retire. Do not hesitate to ask for a professional advice from a financial consultant to make sure you keep the right direction on your way to financial well-being. The money experts can help you manage your finances to their full potential and to your best benefit. The advantage of a professional consultancy is that you get the guidance for your particular situation and the one which suits your very needs.